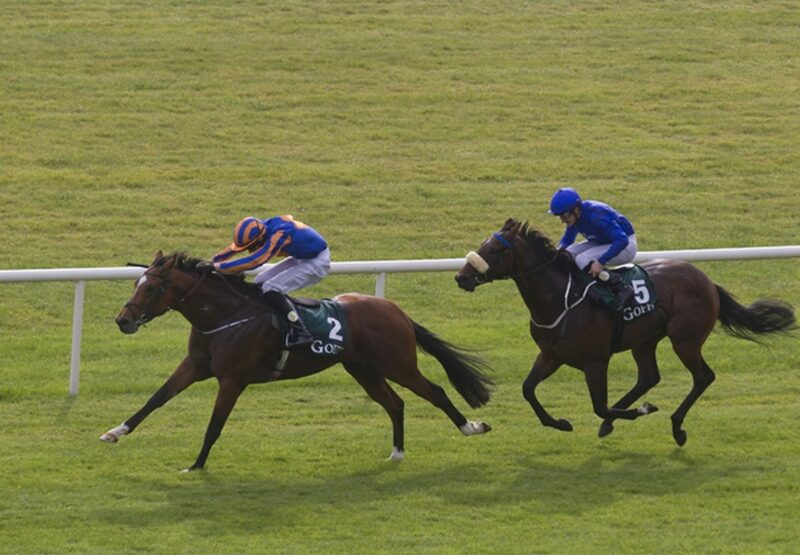 Sons of champion sire Galileo captured a pair of prizes at the 2014 Cartier Racing Awards in London on Tuesday evening. Gleneagles (2c Galileo-You’resothrilling, by Storm Cat) landed the trophy for Cartier Two-Year-Old Colt following a year in which he won the G1 Goffs Vincent O’Brien National Stakes at the Curragh (pictured) and the G2 Galileo EBF Futurity Stakes at the same course. The full-brother to G1 Irish 1,000 Guineas heroine Marvellous also finished first in the G1 Prix Jean-Luc Lagardere at Longchamp but was subsequently placed second after a stewards’ enquiry. He looks a leading contender for Classic honours in 2015. Meanwhile, the award for Cartier Older Horse went to Noble Mission (5h Galileo-Kind, by Danehill), after a season in which he won the G1 Tattersalls Gold Cup at the Curragh, G1 Grand Prix de Saint-Cloud and the G1 QIPCO Champion Stakes at Ascot for owner-breeder Khalid Abdullah and trainer Lady Cecil.